Engine oil lubricates the engine and keeps it running smoothly. Changing it at regular intervals is imperative. Here is a nifty Guide to Auto Oil Change. If you love driving your car and wish to keep doing so for many years to come, service and maintenance of the car is necessary. Engine oil is the essential lubricant that lets the various components of your car’s engine work smoothly. By not allowing the accumulation of varnish, carbon and other contaminants, it keeps the engine clean and unclogged. Thus enhances the life and performance of your precious car. Changing engine oil as well as the oil-filter at well-spaced intervals is a relatively easy maintenance task that is the key to keeping your engine happy. 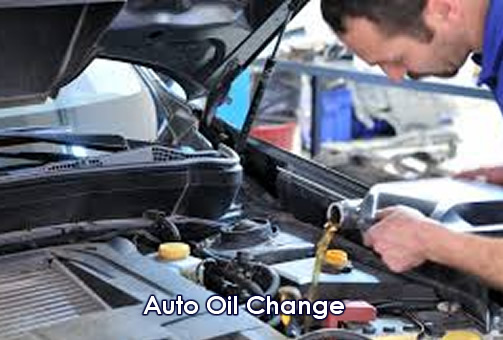 The frequency of oil change depends on the kind of vehicle you have as well as your driving habits. It is usually advisable to change your auto oil every 3000 miles driven. Your owner’s auto manual can let you know the preferred interval for changing your engine oil. Here is a simple guide to Auto Oil Change. It is better to follow a systematic approach. Collect all the tools needed to change the oil and have them by your side in your garage. You will need a container filled with engine oil, a new oil filter, a regular wrench, a socket wrench, a dipstick, a funnel, an oil-drip tray, a set of gloves, a trolley jack and axle stands. Run the engine of your car for a few minutes to warm it up. It will allow the impurities to come out easily along with the old engine oil. Switch off the engine and put the brakes on. Raise the car with trolley jack and place axle stands beneath to lift the front of the car. Using your owner’s manual locate the oil drain plug. Place the oil-drop tray or any suitable container underneath the drain plug. Take off the plug using socket wrench. Make sure to keep your body safely away as hot engine oil will gush out along with all the contaminants. Take the oil-filled tray away and put the plug back on. Locate the oil filter. You can easily find it under the hood or check the owner’s manual if you cannot. The engine can be hot so wear gloves and unscrew the old filter. Smear some fresh engine oil on the rubber seal of the new filter and screw it to the appropriate place. You will find the oil cap on top of the engine of your car. Take it off and use the dipstick to ensure the tank is dry. Place the funnel in the opening and gently pour the oil. Your owner’s manual will help you know the amount of oil to put in your engine. When finished with filling up put the cap back on. You can easily change the engine oil in your car by following this simple Guide to Auto Oil Change. BE SURE TO CHECK OUT OUR OTHER AUTO REPAIR TIPS ON OUR BLOG!